For the fifth consecutive year, we have an Eastern Screech-Owl, Megascops asio, couple who courted and are raising a family in the nest box and soon, beyond. 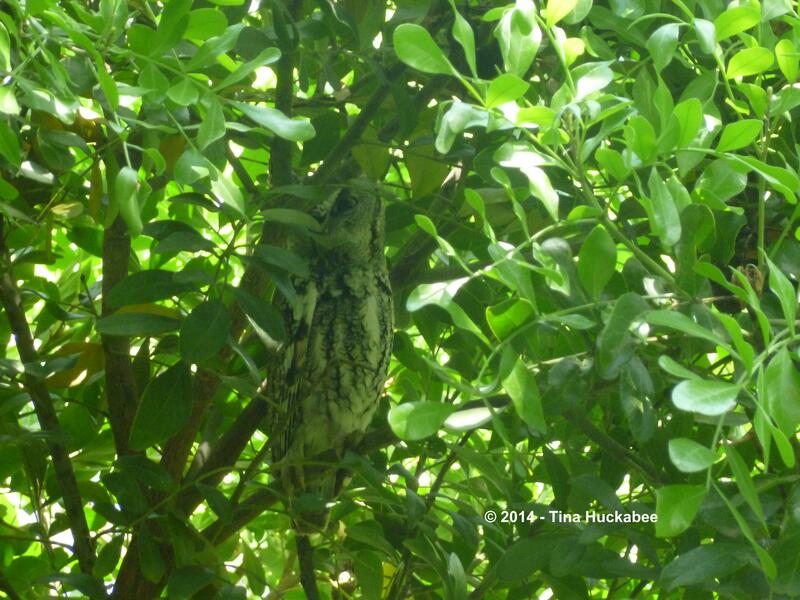 and most days, Daddy Owl perches in a nearby Mountain Laurel, Sophora secundiflora. Based on observance of past years, the owlets have grown too large for Mom to stay in the next box full-time, so she’s left the box, but stays very close. While I haven’t seen any shy, fuzzy grey heads popping up in the hole or flashes of feathers as they move about, I should soon. I suspect that within then next 10 days, the owlets will leave the nest box, hang out in the tree for a few days learning to fly, hunt and do other owl stuff. It’s thrilling to observe these beautiful and compelling birds. 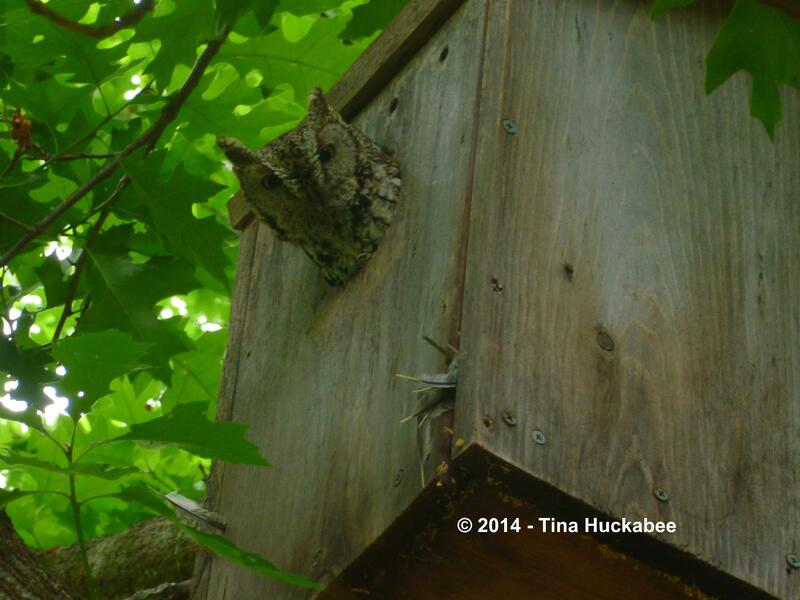 This entry was posted in Eastern Screech Owls, Nest Box, Otis asio, Uncategorized and tagged Eastern Screech Owls, Nest Box, Otis asio by Tina. Bookmark the permalink. Love the owl and squirrel pics. 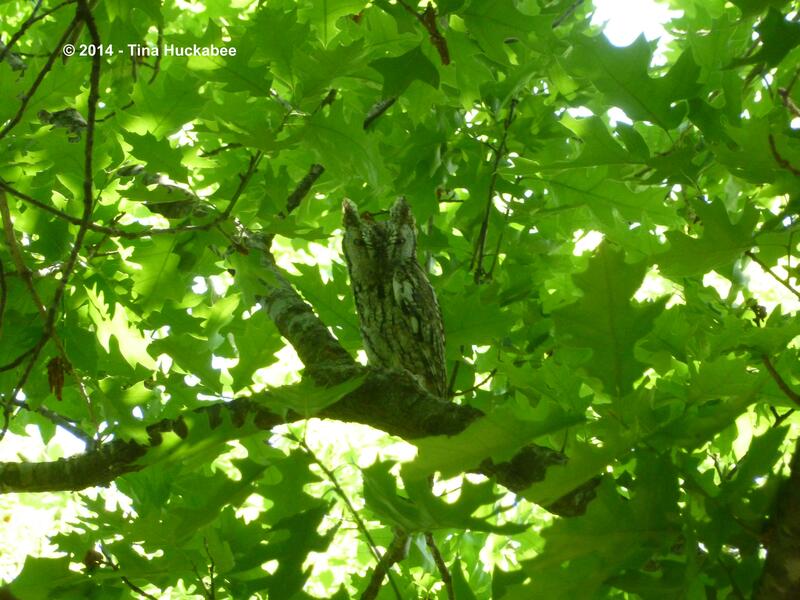 Looks like she’s perching in a Mountain Laurel in one pic and a Red Oak in another? Will have to look into building an owl box. Thanks for sharing! Hi Mary! 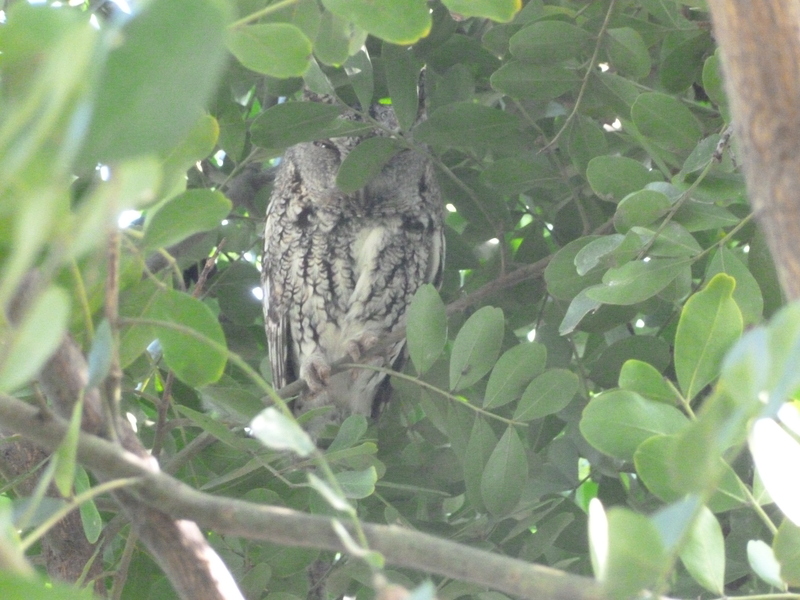 Dad Owl stays in the Mr. Laurel most days–sometimes, I can’t find him. 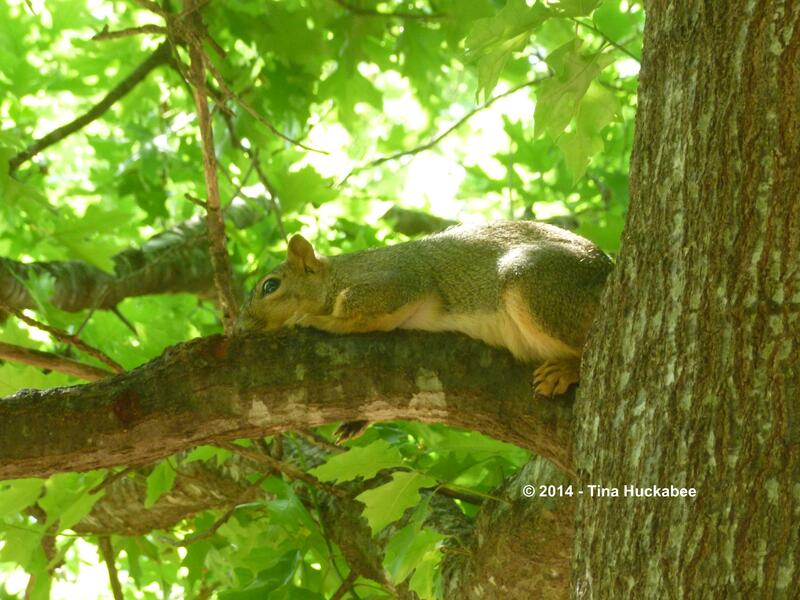 Mama is either in the box or in the Oak tree, where the box is hung. The only way I can tell the difference between male and female is to see both and I know that Mama is more likely to actually be where the owlets are. It was only about 2 weeks ago that I saw both parent owls jointly–I’d see one or the other. Such sweetly grumpy faces! I was sad to realize our yard won’t qualify to safely host an owl box of our own. I console myself with the wonderful photos here. After several seasons of nonstop construction on houses close to ours, I’ve stopped hearing owls every twilight. I’m optimistic it only means they’ve moved their usual perching and nesting spots to some quieter locale. Maybe somewhere somebody built them a lovely box?! Why can’t you have a box? No trees tall enough? That’s too bad I’ll bet they’re still around and you’re correct–there’s just too much constructions, therefore noise. 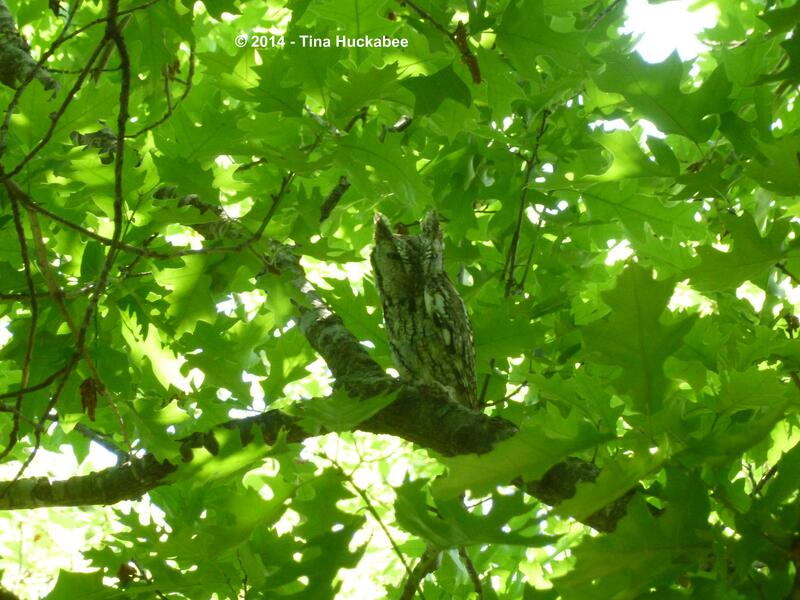 Eastern Screech Owls are resilient–they’ll be back–I hope! Partly we have no trees tall enough that are far enough away from the pool – but the biggest no-no is that our next door neighbors have put poison out for orchard rats that keep getting into their attic crawl spaces. Apparently one poisoned rat can kill a family of owls so I can’t in good conscience put a box up. Oh goodness, that is bad. Yes rat poison kills many raptors all over the country–it’s a real problem. Gosh, I’m sorry to hear that. Have you encouraged them to set traps instead? Wonderful news that you have owlets. Please send them over here for next year. We have an empty house. I’ll certain try to coax them to your place! So sorry you’re “empty nesters”–I’m surprised, given your place, that owls aren’t happening for you. Good luck for next year! Steph–don’t let pesky squirrels deter you. 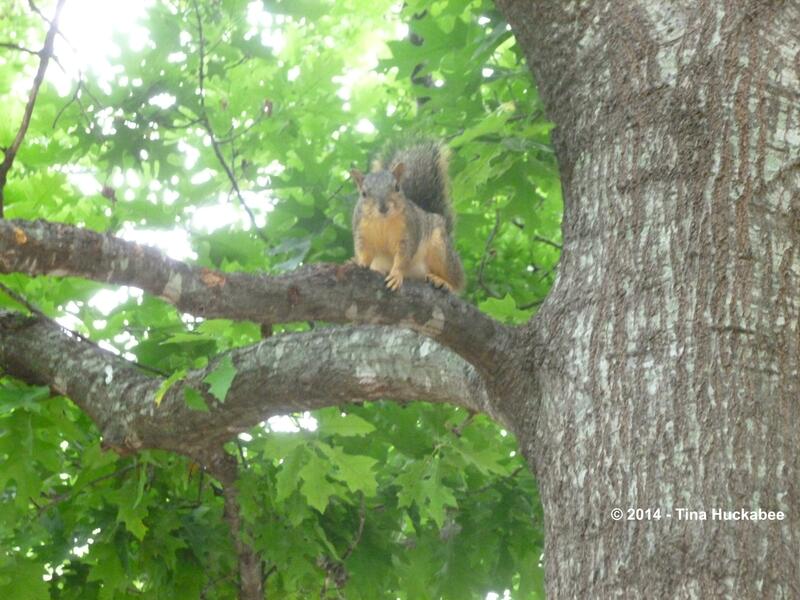 I’ve had squirrels move in and somehow, the owls…encourage the squirrels to move out. Last year, one little pest stayed and stayed, so during the day, I taped the hole shut. I left it for a day or so, then took it off at night. The owl moved in shortly afterwards! Put up an owl box–it’s so rewarding.